You are here: Home › Blog › 1. 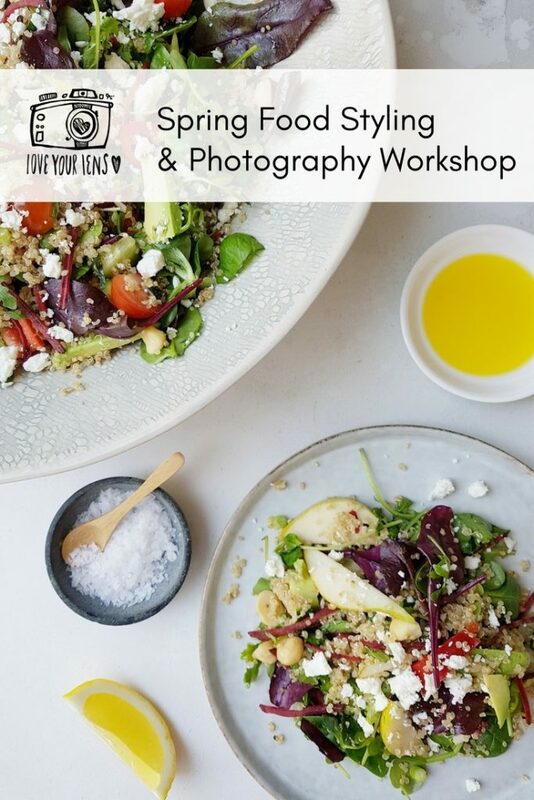 Beginner › Food & Drink › Spring food photography workshop on a day that felt like summer! 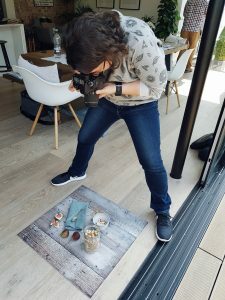 Yesterday’s food photography workshop took place on one of the hottest days of the year so far, but I’m not complaining! Our venue, a beautiful private home in Wilmslow, was flooded with natural light, making it even easier to take mouth watering food pics. The students were all from businesses that have a link to food in one way or another: Sandra has a family run business where they press rapeseed oil on their farm (Wignall’s Yallo); Chris has a blog where he features his gluten free cakes (Cakes by Noah); and Rachel runs a ladies only boot camp, with advice on fitness and nutrition (Busy Woman’s Fitness Project). 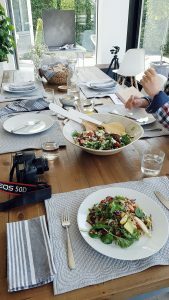 This keen bunch, undaunted by being relative beginners in photography, embraced the morning’s session on camera settings and styling and by lunchtime were hungry to have a go themselves. I can’t go any further without mentioning Nikki, out host. 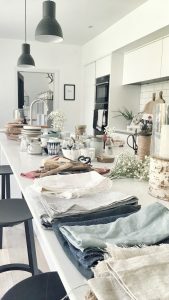 Her home is gorgeous (I never want to go home when I’m there) and it’s such a perfect place for the workshops. Not only this, but she’s a nutritionist with her own range of herbal teas and tinctures. During the morning, as everyone got to grips with their cameras, they were kept refreshed with Nikki’s white peony tea. Find her on Instagram as nikkihillapothecary. 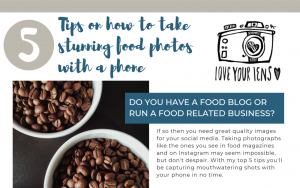 I’ll let the images speak for themselves, but if you’d like to take professional looking food photos for your blog or business, book on one of the workshops. In addition to learning about the camera settings and equipment, you’ll pick up so many tips on backdrops, props, styling and editing. And did I say the food is delicious and nutritious?! 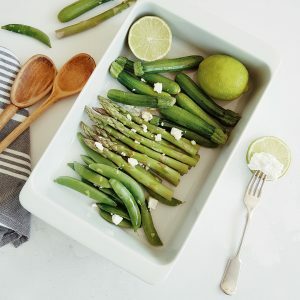 Food styling involves lots of “faffing” around with the props and the food and some rather interesting stances! Styling and tweaking to get it exactly right. 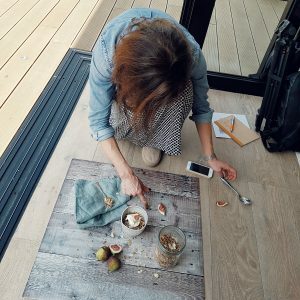 The flat lay photography stance! 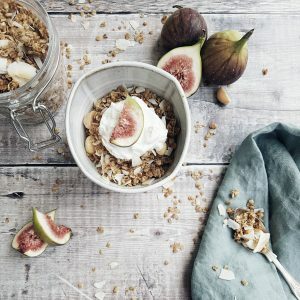 Rachel’s fabulous final image of Nikki’s granola. Another of Rachel’s shots. She has really grasped the styling well. 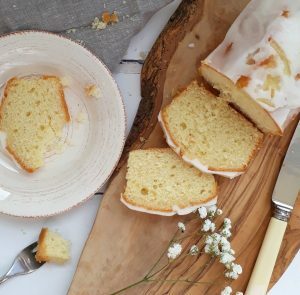 Chris concentrated on photographing a lemon drizzle cake and we are really impressed with his image. Can’t wait to see Chris’ pictures of his own cakes on his blog. 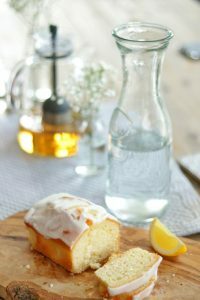 And Rachel also photographed the lemon cake, trying out a 50mm f/1.8 lens for the first time. This ‘nifty fifty’ lets you get those lovely soft focus backgrounds and are perfect for food pics. Rachel’s take on the cake! Thanks to the students for sharing their images and being such a great group to work with on the workshop. If you’d like to book on one of the workshops click here for 2018 dates.